Yes, we carry full liability and Workers’ Compensation insurance. We recommend having your windows cleaned at least once or twice a year to prevent hard water accumulation and to extend the longevity of windows and screens. Each window is cleaned by hand using mild, environmentally-safe detergent, water, squeegees and soft cloths. When necessary, we use a water-fed pole and deionizing tank system that can reach windows up to 45 feet. What is included in my window cleaning? Basic window cleaning includes cleaning the actual panes of glass, wiping down the window sills and cleaning all screens. Track and frame cleaning are priced separately. Each job is different and pricing will depend on such variables as: number of windows, type of windows, window access, and just how dirty your windows are. We’ll go over all of these details and more when you contact us for an estimate. 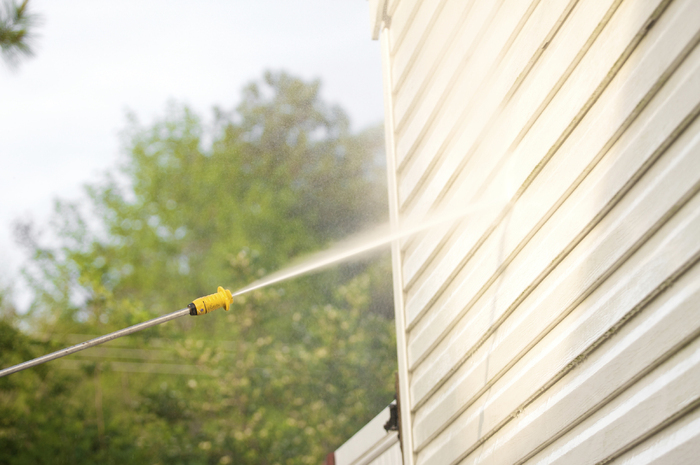 Cleaning windows can typically take anywhere from 1-6 hours. It all depends on the size of the house, how many windows there are and when your last cleaning was. Storm windows and French windows will add to the cleaning time. As long as any storm windows or screens that are on the outside of your windows can be removed from the outside, you do not necessarily need to be home for outside window cleaning. Similarly, if all gutters are accessible from the outside perimeter of your house or building, no one needs to be present at the time of gutter cleaning.We can discuss your need to be home with you directly. More often than not, we can work without you having to be home the whole time. We can offer same or next day service, when available. During the busy season (spring and summer) we recommend that you allow for 1-2 weeks’ notice. Yes. We have Saturday appointments available. Is there anything that I need to do to prepare for your arrival? Please make sure that all blinds and or window treatments are open or tied back before our arrival, and that there is a clear path to each window. Please remove any breakables or nick-knacks on or around the window area. Why should I call a professional window washing company instead of a housecleaning service to clean my windows? Most housecleaning services use products like “Windex” and paper towels. This will not clean your windows very well – it will rub the dirt around creating a static charge that will attract more dirt and dust to your windows. At worst, it can actually scratch the glass. Our technicians use only professional window washing techniques and equipment to leave your windows sparkling clean and streak-free. We try to closely monitor the current weather conditions. We will call you to reschedule your appointment as soon as it becomes clear that weather will not permit our work. In most cases, when it is not possible to work outside, we’ll come to clean the inside windows and return another day to do the outside ones. Should I bother getting my windows cleaned if it’s going to rain? 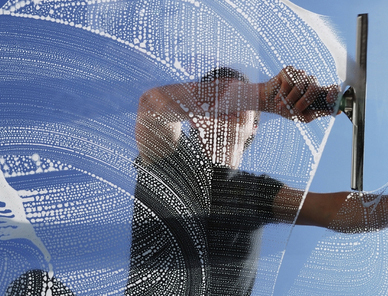 Typically, rain won’t make your windows dirtier if they are clean. When your windows are clean, they don’t have any dust or dirt for the rainwater to adhere to. However, if your windows are dirty, rain simply attaches itself to the dirt that is already there, often making them look worse. During the wetter months here in the Bay Area, dust and pollen are down so there’s a chance your windows will stay cleaner for longer after a window cleaning during the winter months. The main reason for foggy windows is that you can have a broken or damaged rubber seal. The rubber seal is what keeps the gas between the pains from escaping. Your windows will look foggy because moisture gets in between the panes. Unfortunately, this is not something that can be remedied by window cleaning. Will my carpet get soiled or will my wall get dirty during window cleaning? Your floors will be covered with a drop cloth or towels to prevent anything from dripping on the floor. Our team also takes care not to dirty your walls. Will the window cleaner wear shoe covers? Upon your request, our window washers will either remove their shoes or wear shoe covers. We prefer payments via cash or check. Credit card payments can also be arranged via PayPal. Yes, we do offer gift certificates. Please call our office at 510-914-5214 to inquire. 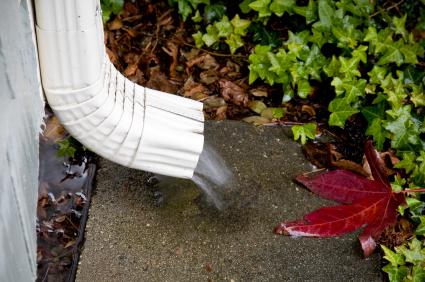 We recommend that your gutters be cleaned at least twice a year, especially if you have trees that are close to your house. Regular maintenance cleaning of your gutters is the best way to prevent costly water damage to your house, foundation and landscaping. Is it really worth it to buy gutter guards? Gutter guards prevent leaves and debris from collecting in your gutters and can reduce the frequency of gutter cleaning. Installing gutter guards is a worthwhile investment if your house or building is located in an area with many trees that are dropping debris on a regular basis. They are not necessarily cost-effective otherwise. However, we always recommend downspout covers/screens. These are inexpensive and typically cost $6-8 each for purchase and installation.